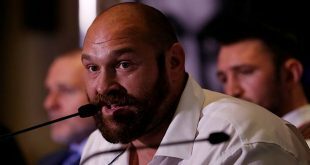 Tyson Fury: The Return Of The Gypsy King? There have been reasons to discredit Miguel Angel Cotto in the past few years, especially after his first encounter with Antonio Margarito. However, the fighter from Puerto Rico is looking for a chance at redemption and revenge against Margarito on December 3rd, 2011. There are many factors that will come into play but in the end, Cotto should be the clear favourite going into this fight. 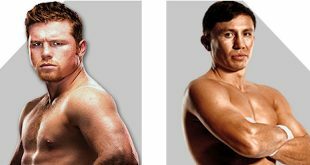 First of all, Top Rank president Todd duBoef has announced that the much anticipated rematch will happen in New York’s Madison Square Garden. On every occasion that Cotto has fought in New York, he has been successful. His fights at Madison Square Garden and Yankee Stadium have meant huge ticket sales for the 30 year old. His huge fan base will no doubt overwhelm the arena and make life very difficult for Margarito. 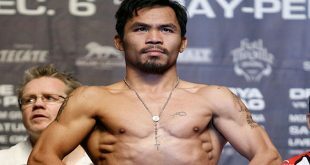 The second factor to consider is that under his new trainer, Emanuel Steward, Cotto has improved significantly since the brutal beating at the hands of Manny Pacquiao. The Puerto-Rican fighter has faster footwork, movement and his defence is much improved. Steward was able to make adjustments in Cotto’s fighting style and the most notable improvement is his jab that has to be one of the best, if not the best, in boxing at the moment. The third factor, without question, is Cotto's motivation for revenge. Let’s face it, if someone used loaded glove on me, I would want to seek some sort of retribution against that fighter. There is no doubt in my mind that Cotto will use the plaster allegations to motivate him. We all remember that Cotto’s father (who recently passed away) made an emotional statement to the press following the first fight. He said that his son’s face was unrecognizable and that he was bleeding everywhere, even his ears. I am sure that this statement will be firmly in Cotto’s mind during his training and during the fight. Cotto has not been the same fighter since his first encounter with Margarito; psychologically that fight scared him. This opportunity to face his greatest nemesis will give back Cotto that confidence and psychological tranquility that he has been looking for since. Cotto has a real chance at redemption with this fight and I believe he won’t let himself down. You can watch the fight on December 3rd, 2011. 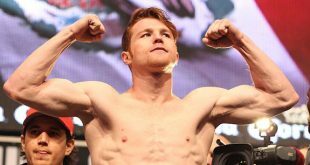 It is not yet determined whether Showtime or HBO will handle the pay-per-view production and distribution of the fight.